"Merimask Designs" is Andrea Masse, a self-representing artist from western New York. 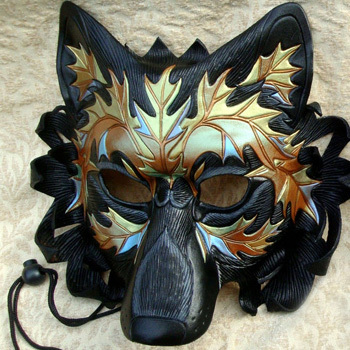 Andrea is self taught in the art of leather maskmaking and has been working exclusively with leather sculpture for over twenty years. New! Egyptian masks designed exclusively for Katy Perry's "Prismatic" world tour (see info below). In 2006, Merimask created several designs for Cirque Du Soleil. 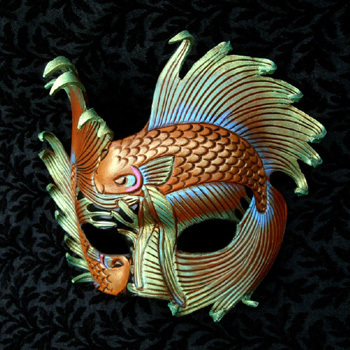 Currently, a synthetic version of her mask "Frivole" is in mass production and available in Cirque Du Soleil gifts shops everywhere. 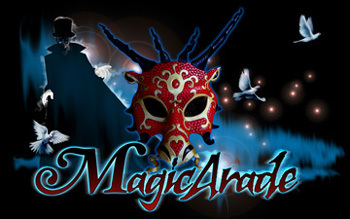 In 2008, Andrea was invited to create over fifty exclusive masks for the Muscle Musical production "Magicarade", in Tokyo Japan. She appeared on several national Japanese television shows with her masks throughout the 2008-2009 holiday season. 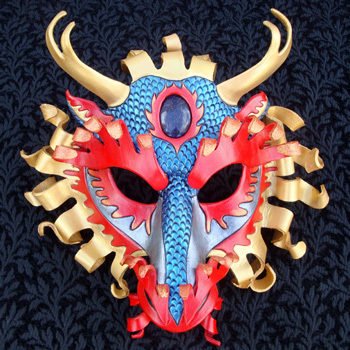 In 2009, Merimask Designs created masks for several stage productions in the United States, including the Jacksonville Nutcracker Ballet in Florida and the Circus Juventas production of "Yulong" in Minneapolis. 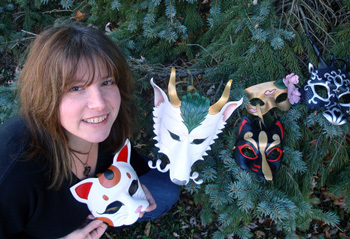 In October of 2009, Andrea appeared on the Martha Stewart Show and demonstrated her mask-making technique on live national television. You can see the video here. 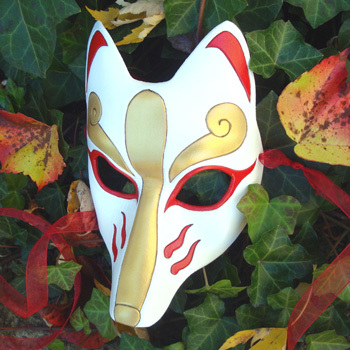 In 2010, Merimask Designs was commissioned to create several wolf masks for Halloween season window displays throughout the United States. The masks were featured in Ralph Lauren Rugby store windows everywhere. 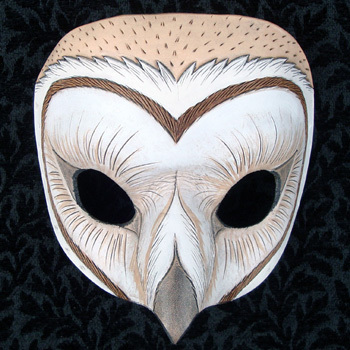 In 2011, Andrea designed four owl masks for an up and coming UK hip-hop group called The Four Owls. Currently, the masks can be seen in performances and videos all throughout Europe and the UK. Video for the second single 'Not Like Before', taken from 'The Four Owls' debut album 'Nature's Greatest Mystery' on High Focus Records, 5th December. Video directed, filmed and edited by Harry Wheeler. "White Fox Mask" A GWYCKY FILMS production - official website here. In the summer of 2012, Andrea was commissioned to produce designs for the Metropolitan Opera. 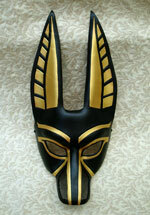 Her exclusive "Anubis" design appeared on stage in the 2013 production of "Rigoletto". Egyptian masks designed by Merimask, exclusively for Katy Perry's "Prismatic" world tour in 2014. Dancers' costume design by Marina Toybina. 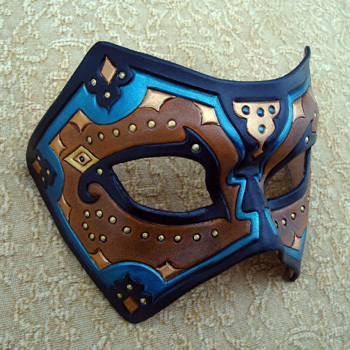 Mask design by Merimask. Photos from "Prismatic" used with permission. 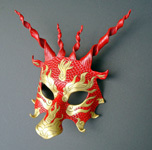 These masks can only be purchased at merimasks online etsy shop. Visit the complete Merimask DeviantArt gallery site. Click here to contact Andrea directly.